Spare a Dime is an interactive, multimedia song cycle retelling true stories from the Great Depression and exploring the impact of the Works Progress Administration (WPA) on diverse communities: urban and rural, citizens and immigrants, individuals of varying ages and backgrounds. Spare A Dime sets its stage through original songs, stories, and new media projections featuring Winged Liberty dimes (representing our nation's ideals for freedom and fairness -- and in homage to the great musicals of the era). Spare A Dime explores the interplay of hopelessness and hope in times of economic crisis. 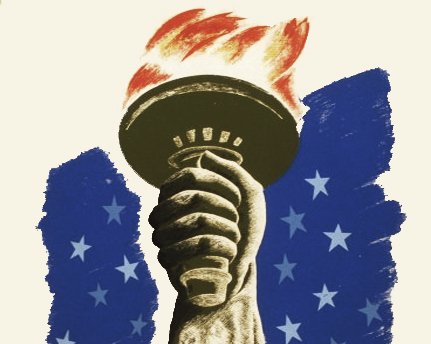 Detail from Democracy: A Challenge, a Works Progress Administration Poster. A country divided: gluttonous greed gives way to pervasive poverty, unimaginable unemployment, hunger, and homelessness. There’s unrest in the streets, flash mobs and collective protests. Will the government act? And is yet another federal program the right solution to the problem? Is it America today? It's actually America of 1935 -- specifically, May 6, 1935, the day that the Works Progress Administration was founded. Spare A Dime explores the many parallels between the Great Depression and our 21st century "Great Recession." 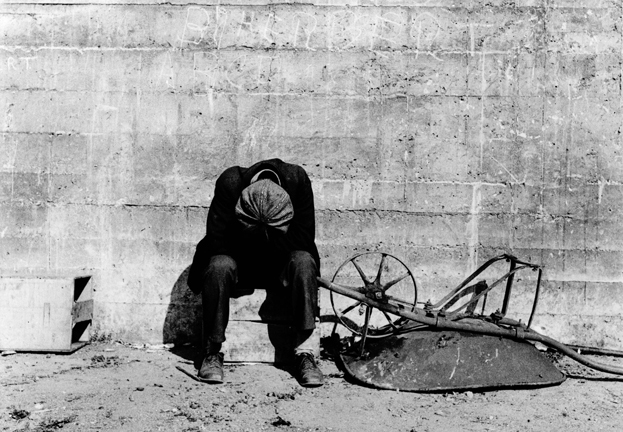 History repeats itself: an unemployed construction worker in 1935. Spare A Dime was workshopped at the 2013 Philadelphia International Festival of the Arts (PIFA) at the Bok Tech Theater in South Philadelphia -- itself a grand, 1000-seat WPA project. Spare A Dime is a project of COSACOSA art at large, Inc.
Our work in progress celebrating work as progress had three stagings during PIFA -- April 18, 19, and 20, 2013. We continue to revise, expand, and further develop the work for new audiences. 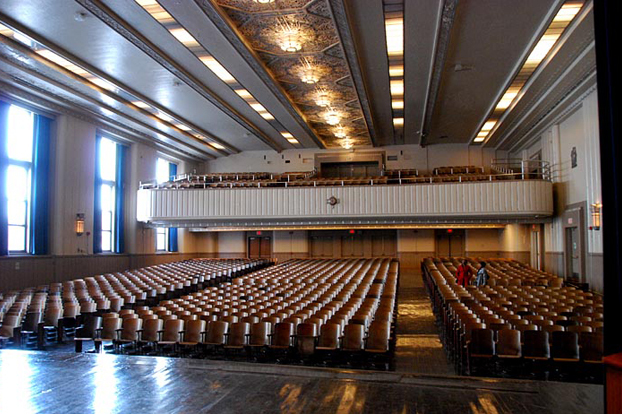 The historic Bok Tech Theater is the only building in Philadelphia built entirely as a WPA project. ©2012-2018 COSACOSA art at large, Inc.